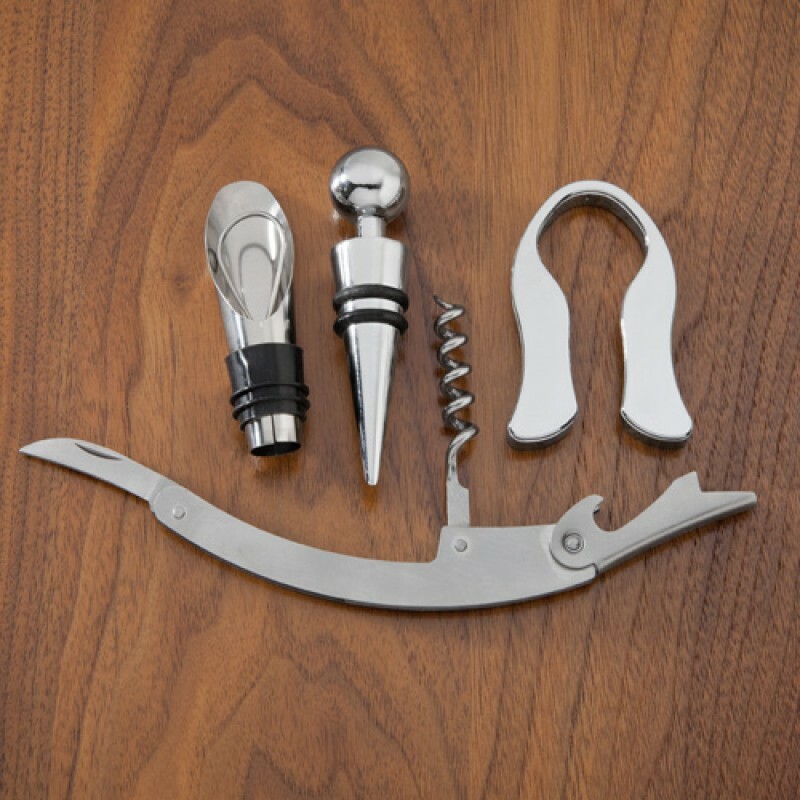 DETAILS: Our Wine Barrel Accessory Kit makes a great gift for anyone with a taste for fine wine. 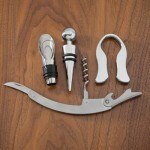 Crafted in the shape of a barrel, the wine barrel accessory kit holds a pour spout, foil cutter, stopper and corkscrew. 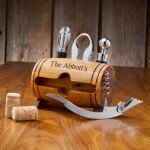 The barrel is made from medium-density fibreboard. 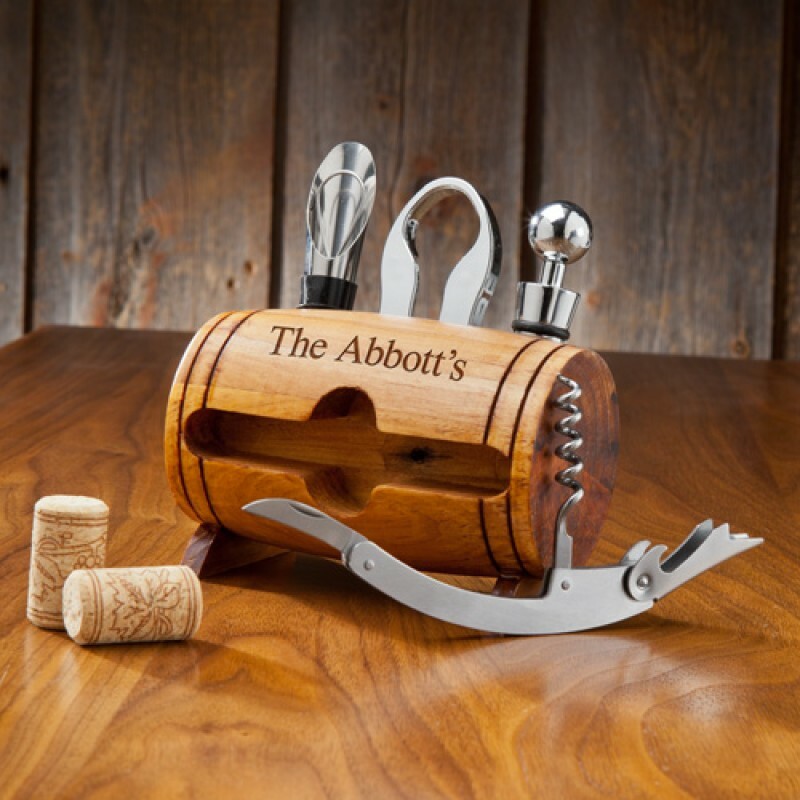 PRODUCT INFORMATION: Barrel 4-Piece Wine Tool Set includes: Stopper, Pourer, Cork Screw, Bottle top Cutter and a personalized wood barrel that houses them all! PERSONALIZATION: Personalize with 1 Line up to 20 characters.